Back in the '90s, a good friend asked us to take care of her Suzuki Vitara while she was out of the country. This meant using it twice a week as my college commuter—a rather enviable privilege if not for the fact that in those days the Vitara just wasn’t a very good urban mobile. It was the era of the mini 'utes like the first-gen Toyota RAV4 and the Honda CR-V, and Suzuki proudly touted its ladder frame chassis versus the wimpy monocoque competition. It had a little four-cylinder engine, part-time 4WD, manual transmission, and decent spec. But it was as comfortable as a pickup truck, which at the time meant overly stiff suspension, flexy body-on-frame construction, and tipsy handling responses. Combine all of those with a claustrophobic interior and a drivetrain that "thrummed" rather than hummed, and it rather felt like driving a washing machine. Still, I liked that thing. It would have been great as a second or third car, just not as the primary. The succeeding generation was only marginally better. Suzuki stuck with the ladder frame design even though fewer and fewer buyers really cared, and it put a nice little V6 in there right about the time traffic was already beginning to heat up. No more. 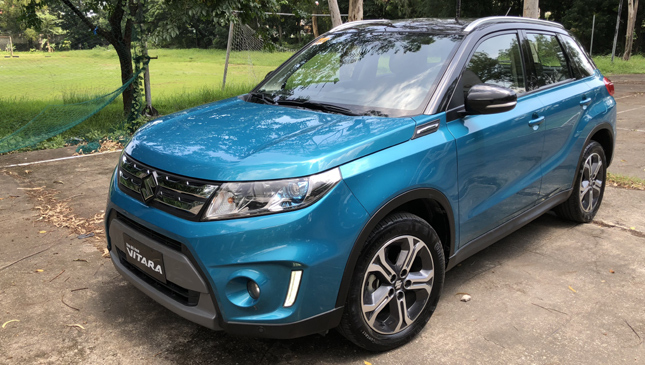 Now in its fourth generation, the Suzuki Vitara bears only an exterior resemblance to its predecessors, while sporting much more conventional mechanicals and market-pleasing accouterments. For serious off-road duties, Suzuki is putting all its cards on the seriously cute Jimny. 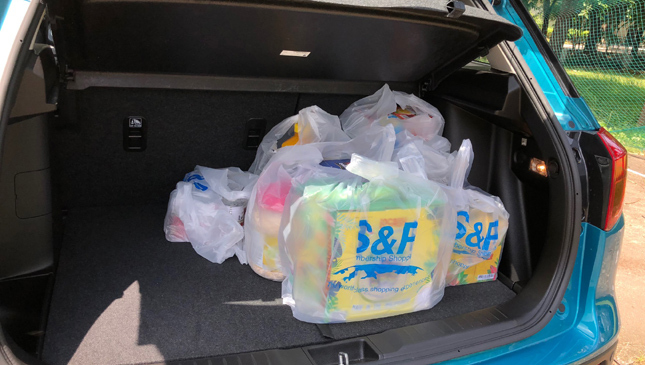 The Vitara, on the other hand, is squarely aimed at small families and young, upmarket individuals who want a ton of value without going overboard on a Japanese brand. 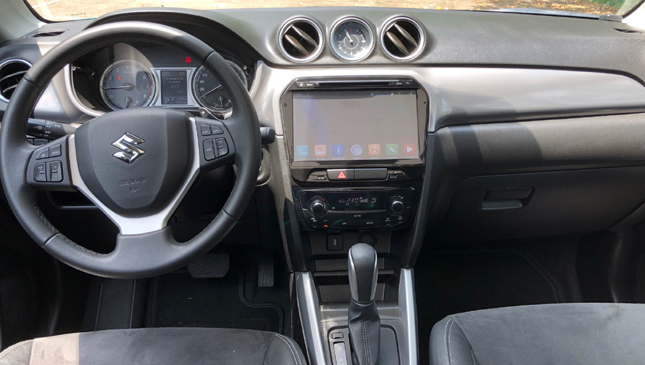 For just a shade over one million before insurance, the Vitara GLX comes loaded with a panoramic moonroof, Android-based tablet-style infotainment system, backing up camera, front and rear parking sensors, ABS, airbags, and a 1.6-liter engine mated to a six-speed automatic with paddle shifters. Did we mention it looks rather nice? Chiseled flanks, wide, wraparound headlamps, Gillette Mach3 grille, blacked-out roof—it all adds up to a look that should be easy on the eyes for several years. Not too conservative, not too funky. The Vitara is no longer AWD-capable, and you’ll want to avoid knee-deep floods as its ground clearance is little better than the average sedan. I remember gleefully blasting through floods back during the stormy '90s. No way that’s going to happen with this one, though. 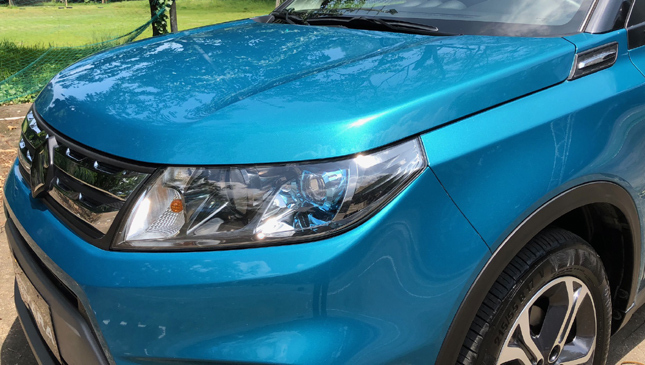 Driving the Vitara is as pleasant as you’d expect a modern day, mass market automobile to be with so many features for the money. The engine is quiet and reasonably gutsy, steering is super light at low speeds for critical parking lot maneuvers, and the suspension is soft without being wallowy. The gearing and shift algorithm are biased for fuel efficiency rather than brisk acceleration, so you need to shift manually or prod the accelerator deeply to get going in a hurry. 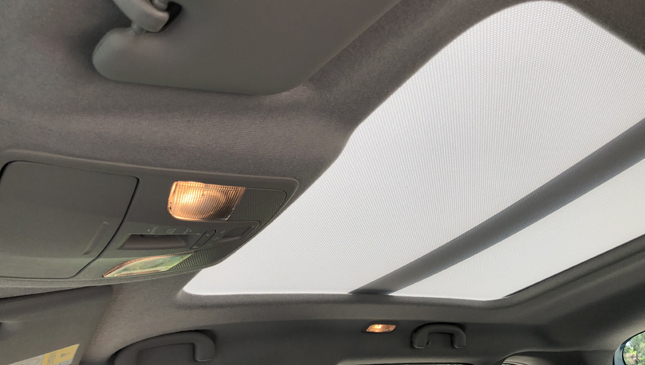 The large window area offers a good view all around for passengers, but the fabric headliner under the tinted moonroof might not be enough for the blazing summer months. 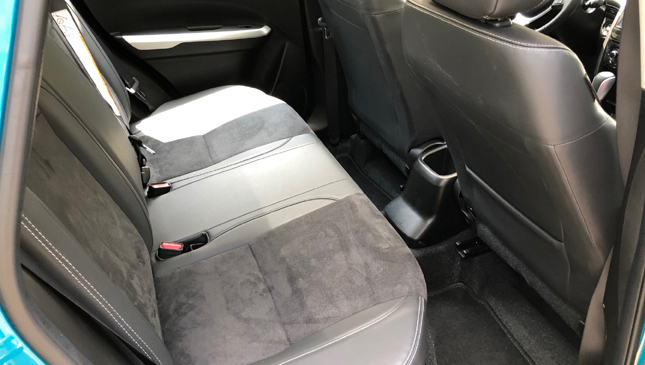 Driver and front passenger get nicely padded seats with good thigh and lumbar support, while backseat occupants may feel somewhat cramped if they’re particularly long-legged. The cargo area has up to 375 liters of capacity, expandable when you fold the rear seatbacks. 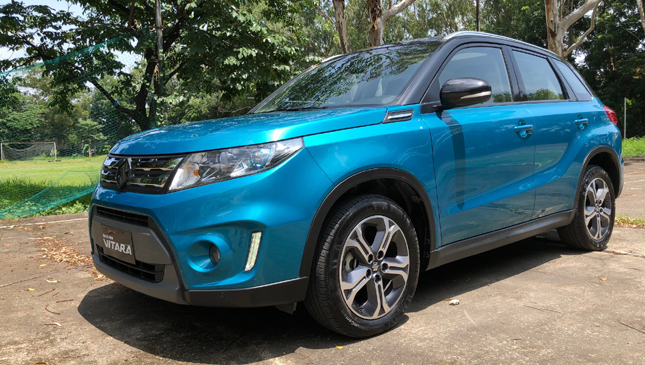 Suzuki Philippines doesn’t list the official curb weight and I was only able to find the listed weight for the 4WD-spec (1,455kg), so my guess is the PH-spec Vitara is around 1,300kg. That would be average for a crossover, especially one loaded with so many features. 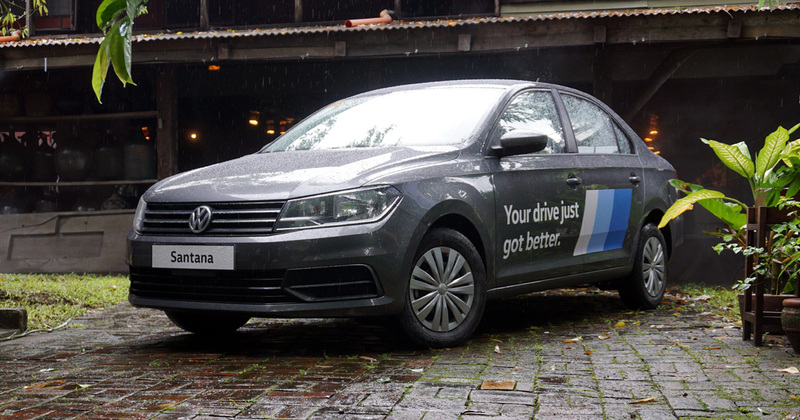 Around-town agility and general lightness yield decent fuel economy figures of 8-10km/L in the city. Unfortunately, there seems to be minimal insulating materials underneath the floor as road rumble is noticeable. And while the cockpit looks sporty in the photos, a closer look reveals cheap, hard plastics on the dash, particularly the “rhino-skin” top panel. Shades of the '90s, indeed. 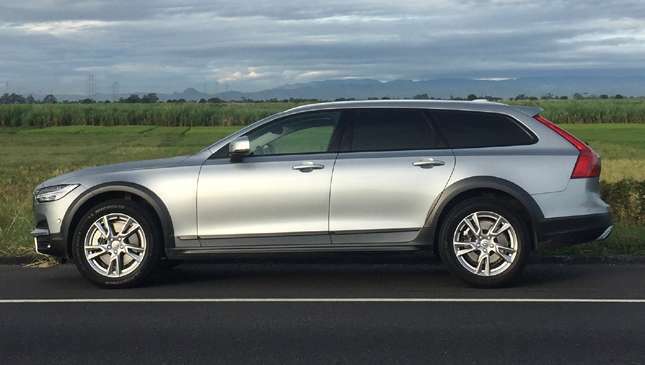 Still, this is a lot of crossover for the money: Good looks, decent space, respectable driving dynamics, and packed with modern conveniences. The Vitara is all the more reason to consider a crossover over a conventional four-door sedan these days. It doesn’t feel like a four-wheel drive washing machine and just climbing up a sidewalk might be a challenge, but that’s okay this time around because it hits all the right notes with what the market really wants.